Chicken is a popular choice for those who favour a healthy lower-calorie diet. Chinese Spiced Chicken Drumsticks are quick and present an absolutely addictive combination of flavours. Feel free to adjust this Chinese Spiced Drumsticks recipe (i.e., garlic, ginger, chili paste and peppercorns) to meet your preferred “level of hot and spicy”! 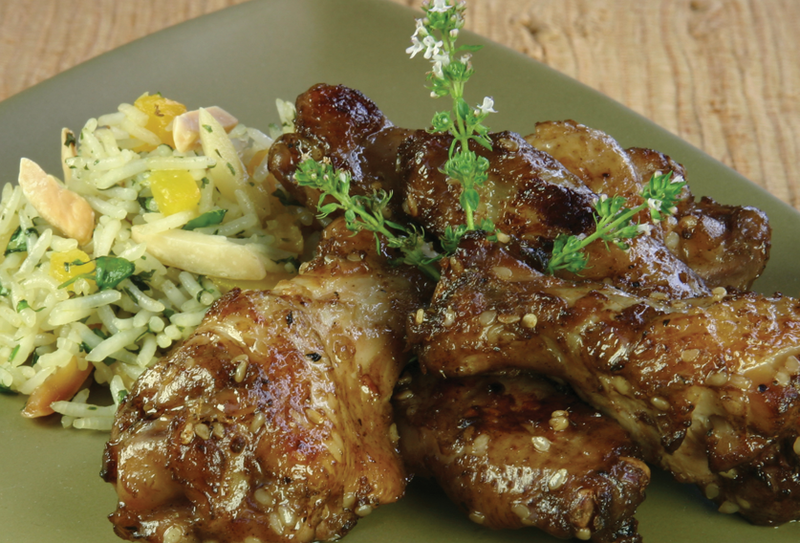 These Chinese Spiced Drumsticks are fabulous on their own and does not require a sauce. Note: Certainly, chicken wings (tips removed and discarded) may also be used. 1. Place chicken drumsticks in a large strong re-sealable plastic bag. 2. Make a marinade by whisking together all other ingredients. 3. Pour marinade into bag with drumsticks; seal bag securely and “massage” marinade into drumsticks. Refrigerate overnight or up to 36 hours, turning bag occasionally to redistribute marinade. 4. Line 2 rimmed baking trays with aluminum foil and spray foil with oil. Add the chicken drumsticks arranged in a single layer and well separated. 5. Bake in centre of a preheated 400 °F (200 °C) oven until juices run clear when thickest areas are pierced with a fork (about 25 minutes). 6. Transfer chicken drumsticks to a very well oiled preheated (medium) barbecue and grill both sides for a minute or 2 until drumsticks are brown and skin appears slightly crispy. Broiler Option: Broil drumsticks under a preheated broiler element for a minute or 2 per side, turning the drumsticks once.